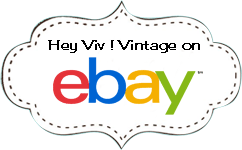 Hey Viv offers lower rates for shipping international orders shipped around the world. *APO, FPO orders are shipped US Postal Service Priority Mail. Choose AA, AE or AP as the state and United States Military as the country. Shipping Charges: Shipping Costs listed in the checkout are estimates. Actual costs may be higher if the package exceeds a certain size. We will contact you before shipping with any changes. Shipping and Delivery Time: We ship most international orders within 24 hours of receiving payment Monday through Friday. Average delivery time is 4-10 days after the package is shipped. Keep in mind that Customs can delay packages. We can not guarantee delivery time. Notification: An email confirming shipping will be sent to the email address on the order. Insurance: International orders are shipped insured. Please contact us if you don't receive your order. Custom Fees: Please keep in mind that there may be customs charges and taxes due on your package. Customer is responsible for any customs fees, charges and taxes. Tracking & Delivery: Packages can be tracked at usps.com We will assist in tracking and following through on any packages that are lost or damaged. The cost of lost or damaged merchandise will be reimbursed once the insurance claim is completed. Shipping charges are not reimbursed for lost or damaged merchandise. We ship to most countries including Australia, Austria, Canada, Denmark, Finland, France, Germany, Hong Kong, Ireland, Italy, Japan, Netherlands, New Zealand, Norway, Scotland, Spain, Sweden, Switzerland, United Kingdom, the Virgin Islands and others. We reserve the right to cancel and refund money for orders that are judged to be high risk. Any questions, please contact us. Payment for International Orders must be received in US funds - if you experience problems with payment in the checkout please contact us at customerservice@heyviv.com We'll be glad to help. * Credit Cards - Visa, Master Card, American Express and Discover are accepted in the secure checkout. * Paypal - There will be a link in the checkout to Paypal to make your payment. Please email customerservice@heyviv.com if you have any questions about using Paypal or paying with a credit card. Any questions or concerns, please email me viv@heyviv.com. We'll be glad to help.